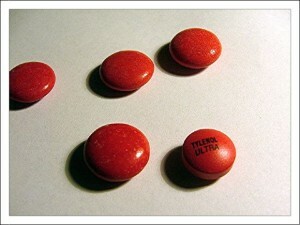 The company also claims that Xarelto is superior to Warfarin in reducing the risk of intracranial hemorrhage. The reason patients take a blood thinner or oral anti-coagulant such as Xarelto is because they are at significant risk of developing blood clots due to a medical condition known as atrial fibrillation (Afib). These clots can form in various places, including deep in the veins of the legs. If they form in the legs, it is a potentially deadly medical condition known as deep vein thrombosis (DVT). The danger of these clots is that they can break free from where they form and travel through the circulatory system. If these clots enter the lungs, they puncture a hole causing a pulmonary embolism (PE), and this is often deadly. If the clots block the flow of blood to the brain, they can cause a stroke. Warfarin has been the long-used standard by cardiologists, but there are some downsides with the time tested drug. The problem with Warfarin is that the dosage must be closely monitored. This means that a patient must have frequent blood tests to check the absorption rate of the medication. A patient must also closely watch his or her diet, because certain foods high in vitamin K, like leafy green vegetables, can affect how Warfarin is absorbed by a patient. If the dose is off, the patient may suffer a serious internal bleeding disorder. However, this side effect is preventable, and there is a reversal agent (antidote) for the drug in event of a bleeding disorder. The makers of Xarelto claim their drug is better, because there is only one dose for all patients and no need for all of the frequent blood testing. However, what they did not want patients to know is that there is also a serious risk of internal bleeding with Xarelto, and unlike in the case of Coumadin, there is no way to know who will suffer the side effect, and there was no approved antidote for a very long time. There is an antidote that was just approved for Pradaxa, which is a Xarelto competitor, that or may not work for Xarelto bleeding disorders. There have been thousands of patients who became very sick from taking Xarelto, Eliquis, and Pradaxa, and a significant number of these patients have died as result of these serious internal bleeding disorders, including intracranial bleeding. This is the reason for the high number of Xarelto injury lawsuits in Boston and across the nation as part of a massive multidistrict litigation currently in progress. Since many of the cases are already in court, it is important to speak with an experienced attorney as soon as possible to make sure your rights are protected.